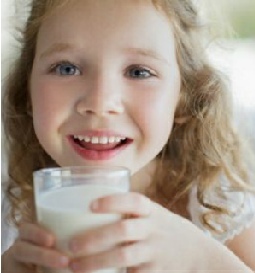 UHT Milk Safety - How good is it for you? Found other supplies of UHT milk? Please send a us a quick note on details, location and price. Milk is consumed by many Canadians daily. It would be irresponsible for families to not investigate any potential safety issues that may be present when consuming UHT Milk. UHT Milk or shelf stable milk has an expiry date is up to 9 months. This process has opened up much debate on the health issues when consuming UHT milk. A milk product that doesn't spoil for months? Is this good for your body? Here is an interesting book. It states that UHT milk is high in damaged proteins. 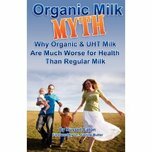 "UHT is much less nutritious than pasteurized milk, UHT is higher in harmful hormones and toxins, and UHT is a bigger cause of cancer compared to non-UHT milk." "This is an absolute 'must read' for anybody with a family and anybody who ever consumes milk." Milk is full of nutrients that our body requires to operate properly. It contains vitamins, calcium, carbohydrates, magnesium, zinc, phosphorus, potassium, protein and riboflavin. Many UHT milk suppliers list the same benefits as normal pasturised milk. 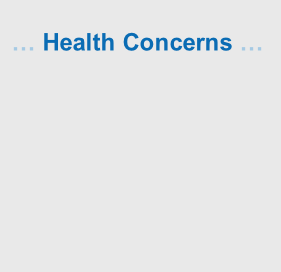 No health concerns are stated. So is UHT Milk Good or Bad ? We have two very opposite opinions on the safety and use of UHT Milk. I for one have a young family and will hold off on using UHT milk. That is until this is researched more on any long term effects on using this product are known. I am a firm believer that less "modified foods" are much better for your body. Right or wrong the scientific minds of the food industry are working overtime to change the basic building blocks and or shelf life of food products for added convenience. I keep thinking about the story of a hamburger from a fast food chain that was left out on the counter for over a year and did not spoil. Yikes!.. Any time a food supplier offers you a product that lasts longer, does not need refrigeration, or changed (processed) in any way, we need to take a step back and say, how good is this for me? Food suppliers are in the business to make money. Simple as that. They will do whatever they can to get you to buy their product. You think every food product sold is considered safe? Well here is a couple of examples; sodium nitrate in cooked meats, and artificial sweeteners. Both being sold in large quantities with much debate about potential health risks associated with each. On a side note, how much sugar is added to all types of milk? Most people do not research what they are putting into their body, which is foolish. These above statements are just my opinion. I am neither a "health nut" or organic minded. Over 750 stores that ship to Canada including eBay, Indigo.ca, Amazon.ca, Old Navy, Forever21 and Groupon. Over 750 stores that ship to Canada including eBay.ca, Indigo.ca, Amazon.ca, Old Navy, Expedia.ca and Groupon.